USB electrical receptacles, known as outlets in my world, are a great solution because I only need one of each USB style cord, ie. mini, micro, or proprietary like my Kodak takes (thanks Kodak for yet another cord in my world) at the place where I install the receptacle. I can keep them tucked away until I need them and not have a jumble of cords and plugs cluttering up the area and fighting for space on the receptacle. Dedicated receptacles by my bed and in strategic places throughout my house (office, kitchen, living room, etc.) will allow me to recharge where it is convenient and to charge less frequently needed items out of the way of my high traffic, clutter prone areas. These receptacles charge two separate devices at the same time while still allowing me to use the standard electrical receptacle at the same time. This will be convenient in the kitchen and above my bedside table. Instead of installing the receptacle at the standard 12" height, I plan to install one of these on each side of my bed just above the night table. This will allow me convenient access to charge my cell phone, which also serves as my alarm clock, and to plug in my tabled to charge as well. Leviton even makes a convenient holder that attaches to a dual gang box that will hold my cell phone during the charging process. 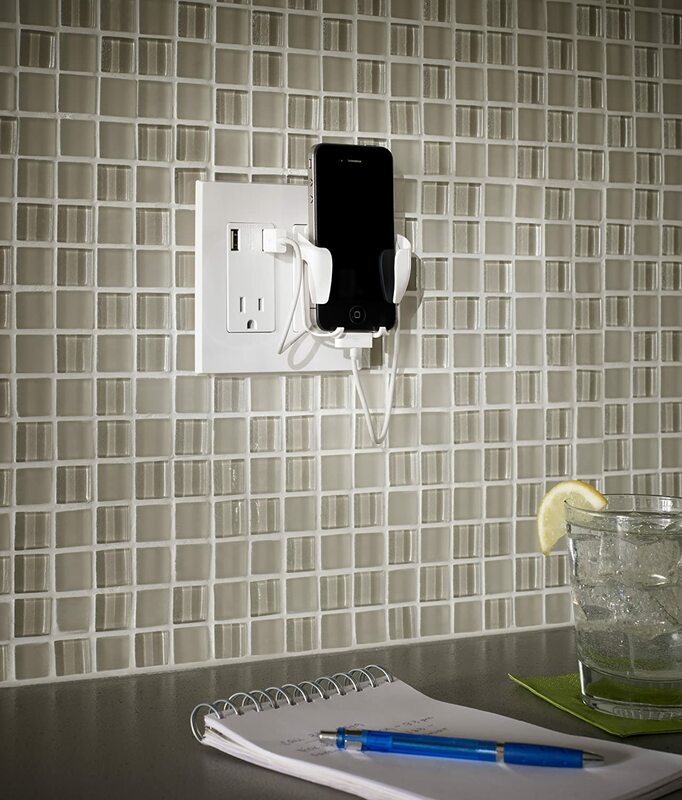 While not cheap, running between $17 and $29.99 per receptacle, the convenience factor is well worth the investment. I plan to install one in the kitchen (I plan to use my pad to watch programs, listen to podcasts, look up recipes, etc. while cooking), one above each bedside table, one in my "office" area, and finally one by where I most frequently sit in my living room. These five receptacles will run me just over $100, but will help clean up the cord clutter I so despise. 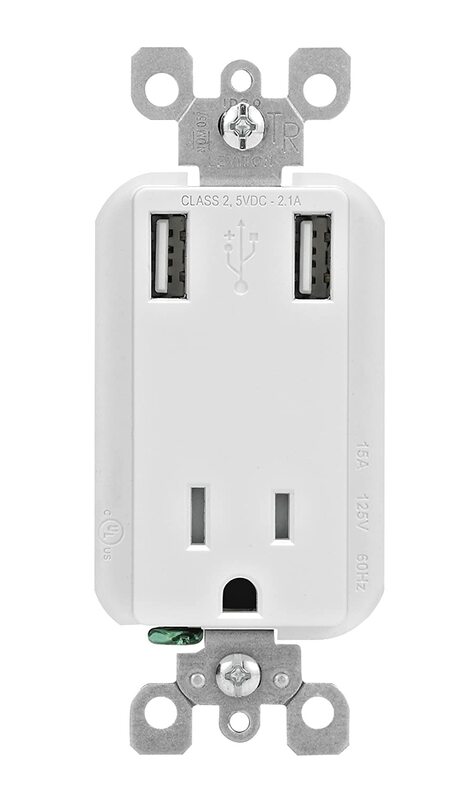 Several companies now make USB receptacles, however I am going to stick with Leviton. Leviton has been a maker of electrical components for a long time and are trusted in data centers throughout the world. I am going to stick with what I know and go with the brand most depended on for a consistently quality product. I don't work for Leviton nor have I received any product or compensation from them. I just believe in their product. Simple solutions to annoying issues, these are the joys of designing your own Shouse. What do you think? 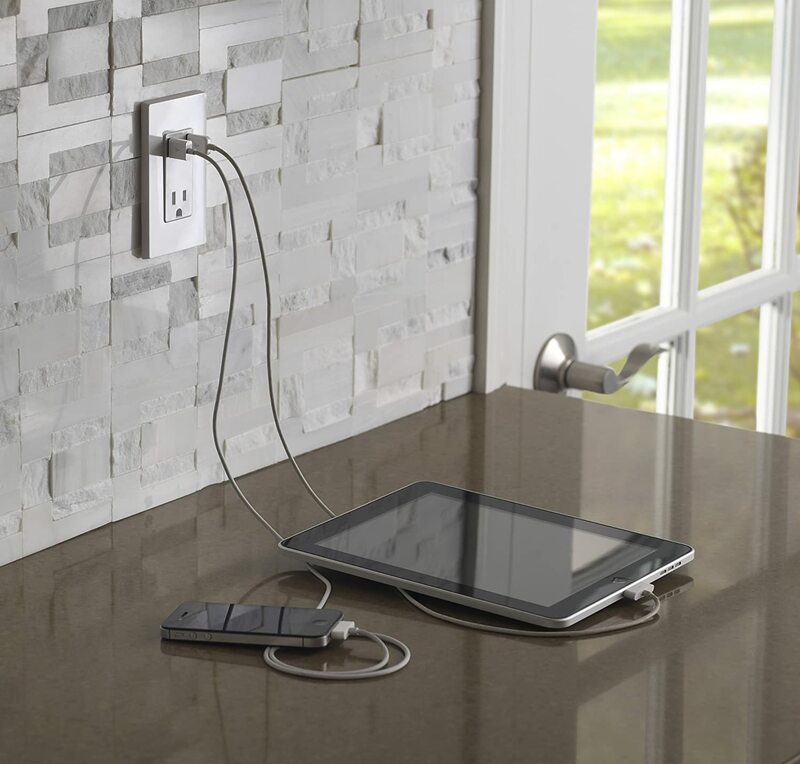 Would you install these in your home?